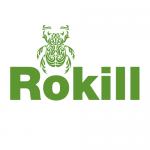 Rokill Pest Control, who have held the Queen’s Royal Warrant for pest control services since 2000, are delighted to confirm that their Warrant has been renewed for a further 5 years. 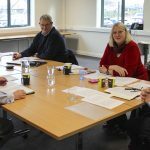 As part of the review process, a detailed environmental assessment was undertaken by BITC (Business In The Community), along with all the other checks, which included Quality and performance. 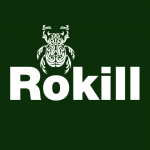 The renewal is a tribute to the hard work and high quality service that has been consistently delivered by the whole Rokill team. A Royal Warrant of Appointment is a mark of recognition to those Companies and individuals, who have supplied goods or services to the Households of HM The Queen, HRH The Duke of Edinburgh or HRH The Prince of Wales for at least five years, and who have an ongoing trading arrangement. They are presently HM The Queen, HRH The Duke of Edinburgh and HRH The Prince of Wales. The Royal Warrant is the document that appoints the company in its trading capacity. It is actually granted to a named individual, known as the Grantee. The Warrant gives the Grantee permission, and responsibility, for the display of the relevant Royal Arms in connection with the business. Today there are around 800 Royal Warrant holders worldwide. They represent a huge cross-section of trade and industry, from individual craftspeople to global multi-national companies. They are united by a commitment to the highest standards of service, quality and excellence and the majority belong to the Royal Warrant Holders Association. 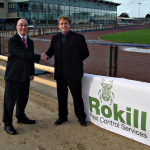 The Association represents the Warrant holders and is run by an elected Council. A president is elected each year and represents the RWHA and it’s members.